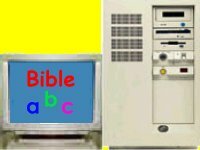 "Bible abc" CD for Children. This is the CD's main screen. From here you can navigate to any area by pressing any one of the buttons. We will show the next level of window : click on the image. Clicking on the Images or the alphabet letters, will sound "Angel", "A" , "apple" or "a". Only high quality audio is used. 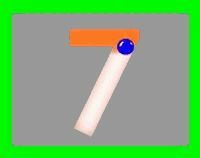 Alphabet Animation which show HOW to draw the letters while reinforcing the sounds. The animations also contain surprises to keep the kids interested. The surprise box contains video with funny narration. They are really cute show different animals, fish, and birds. They also teach left and right, d and b, music scale etc. 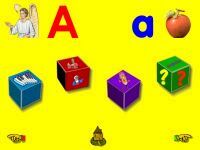 Each letter of the alphabet contains a full set of activities: Music/Scripture, Bible Story, Animated Alphabet and Surprise. The bottom section allows easy navigation between screens or direct back to the main ABC screen. 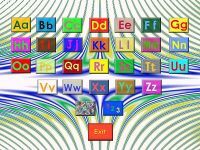 The images chosen to represent the letters of the alphabet were carefully chosen after much research and investigation. When selecting and the Bible stories, the text, and the pictures, every effort has been made to present the Gospel truthfully to the glory of our Lord and Savior Jesus Christ. 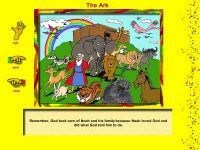 As we lifted the stories from of the pages of the God's Holy Bible and condensed the stories into 4 or so pictures, we run the risk of misinterpretation of the Word by using our own wording. There is also a risk when condensing a very involved story into so small a space. We therefor encourage parents and children through the stories to trust only in God's Word, the BIBLE. Despite our efforts, prayers and diligence, we are fallible, but God's Word is not. Remember: this is a quarter size, low quality representation of a single frame for the web. 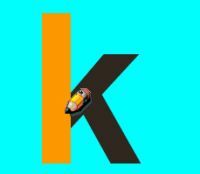 In the animation of the letter, the letter is filled with color as the shape is drawn. pencil are used to show kids when to lift up their pens and where to continue from. Children easily recognize letters and numbers, but learn to draw the shapes incorrectly. They then have to re-learn the letters once they start school. These animations are designed to address this problem. We have also included interesting and funny events during and after the animations to keep the children interested. 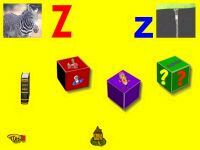 Each letter of the alphabet includes a Surprise box that contains a big size, good quality video or an animation. 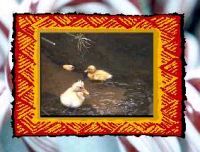 They have been designed for kids and contain video lots of animals e.g. Lion cubs, giraffes, monkeys, fish, sharks, cats. seals, dolphins etc. They also have animations to teach left and right, b and d, doh, ray me, and many other things that kids struggle to remember. These have been designed for and tested on kids prior to inclusion on the CD. 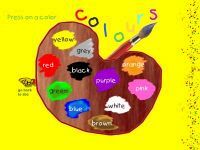 What would a kid's CD be without colors? Due to the problems with representing colors on computer screens, we have stayed with the basic colors. We have also included a section with animations of the numbers, one to ten. Click on the picture to return to the top. The rest is the same as the minimum requirements.